The American rapper, singer, songwriter, record producer, record executive, and the actor is Jeffrey Bruce Atkins. 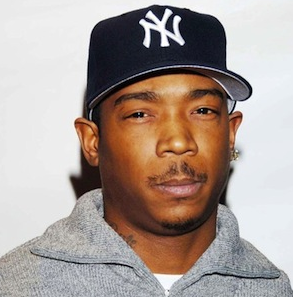 He is professionally and famously known as ‘Ja Rule’. He is from Queens, New York. He is represented by Richard De La Font Agency, Inc. In the 2000s, he was signed to Murder Inc. Records which was formerly known as The Inc. Record. He is also known for the publicized fights with the famous rappers Eminem and 50 cents. He has earned four Grammy nominations and has earned six top-ten albums. 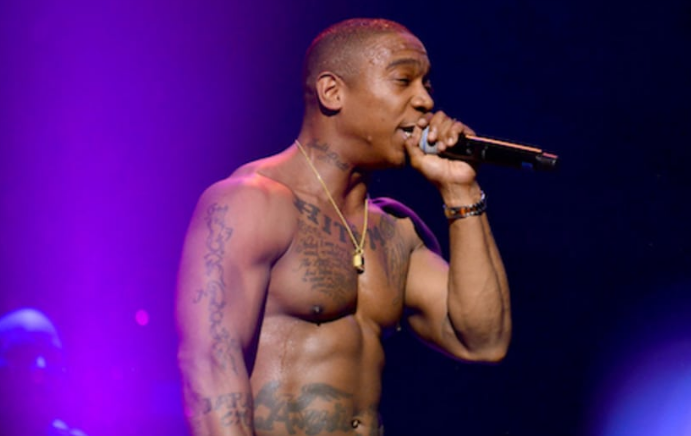 Ja Rule was recently scheduled to perform in Syracuse but the show got canceled. Jeffrey Bruce Atkins. He was born on 29 February 1976 at Hollis, Queens, New York, U.S. He was born to Debra Atkins who was a healthcare worker and William Atkins. He had a sister who died in his mother’s womb. He was enrolled at the Public School. Then her mother got him transferred to Middle School. In February 2012, he passed his General Educational Development (GED) certification exams while he was in prison. He became a Christian in 2013. At the age of 12, he started to sell drugs in Hollis. Ja Rule’s height is 1.73 m and weight is 72 kg. His eyes color is dark brown and the hair color is black. He has numerous tattoos in his body. His body type is athletic. Overall, he has the balanced and healthy body. In 1993, he started his rap career with hip-hop group Cash Money Click. In 1998, he had signed with Irv Gotti's Murder Inc. Records. In 1999, his debut album named ‘Venni Vetti Vecci’ was released. In 2000, he released his second album titled ‘Rule 3: 36’. The album would be certified triple platinum by the RIAA. In 2000, he also appeared in a film named ‘Turn It Up’. On 2 October 2001, he released his third studio album titled ‘Pain Is Love’. It was also certified triple platinum by RIAA. In 2001, he also appeared in the minor role in the film titled ‘The Fast and The Furious’. On 19 November 2002, his fourth album titled ‘The Last Temptation’ was released. It was certified Platinum by RIAA. On 4 November 2003, his fifth studio album titled ‘Blood In My Eye’ was released. In November 2004, his sixth studio album titled ‘R.U.L.E’ was released. It was certified gold by RIAA. In 2004, he teamed up with Irv Gotti launching an urban clothing line called ‘ErvinGeoffrey’. On 6 December 2005, his album ‘Exodus’ was released which was his last album in contract with The Inc. In 2006, he launched a liquor company called ‘The Mojito’. In 2009, he founded his own independent label ‘Mpire Music Group’ and recruited new artists. On 28 February 2012, ‘Pain Is Love 2’ was released. In 2013, he starred in ‘I'm in Love with a Church Girl’. In 2014, he had released a memoir titled ‘Unruly: The Highs and Lows of Becoming a Man’. In August 2015, he collaborated with footwear businessman Steve Madden on a new line of Men's sneakers called ‘Maven x Madden’. In December 2016, he appeared on The Hamilton Mixtape, rapping Hamilton's verse in Ashanti's performance of "Helpless". In 2016, he co-founded ‘Fyre Media, Inc.’. On 26 June 2018, it was confirmed by Ashanti that both she and Ja Rule are working on a collaborative album. In 2003, he allegedly punched a man in Toronto, who later sued. On 1 July 2004, he was arrested along with Don Rhys for driving with a suspended license and possessing marijuana. In July 2007, he was arrested for gun and drug possession charges along with Lil Wayne, and Don Rhys. In July 2011, he received an additional 28-month prison sentence for tax evasion, to run concurrently with his state term, failing to pay taxes on more than $3 million in earnings between 2004–2006. On 1 July 2017, he faced more than a dozen lawsuits filed by ticket buyers and investors in the failed Fyre festival and his partner in the venture as a fraud. In September 2018, he was recently scheduled to perform in Syracuse but the show did not happen due to the logistics issue. In 2001, at ‘Source Hip-Hop Music Award’ he won ‘Single of the Year’ award. In 2002, at ‘MTV Video Music Awards’ he won ‘Best Hip-Hop Video’ award. In 2002, at ‘World Music Awards’ he won ‘World's Best-Selling Rap Artist’ award. In 2002, at ‘BET Awards’ he won ‘Best Male Hip-Hop Artist’ award. In 2002, in ‘GQ Men of the Year Award’ he received ‘Musician of the Year’ award. In 2002, at ‘Teen Choice Awards’ he received ‘Male Artist of the Year’ award. In 2002, at ‘NAACP Image Awards’ he received the award for ‘Best Rap/Hip-Hop Artist’. In 2003, at ‘Source Award’ he received ‘R&B/Rap Collaboration of the Year’ award. In 2004, at ‘Source Award’ he received ‘Phat Tape Song of the Year’ award. Ja Rule is the married man. He is married to Aisha Murray in April 2001. They met at high school and got into a relationship. She lost virginity at the young age to him. In 1995, she gave birth to a daughter named Brittany. And in 2000, she gave birth to the son named Jeffrey Jr. in 2005, she again gave birth to another son named Jordan. They had to suffer a lot in their relationship. It was rumored that he is a gay and he is cheating his wife. Ja Rule’s net worth is $8 million. He has got Kristen tattooed in honor of his baby sister, who died in his mother’s womb. He was a Jehovah’s Witness and went door to door to seek new members for the church.